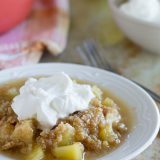 Baked apples are topped with a mixture of steel cut oats and coconut in this easy apple crumble. Top it off with homemade whipped cream for an easy dessert that everyone will love. I went through a phase awhile back where I watched Chopped pretty much every night. It was my routine – after the kids went to bed, I’d sit down to work with the tv set to Chopped in the background. I seriously hit a point where I think I had seen every single episode. 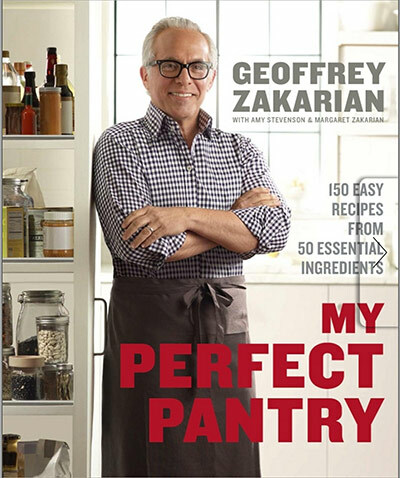 So when I saw this new cookbook – My Perfect Pantry – from Geoffrey Zakarian, I knew I needed it. So – before I had a copy in my hands, all I could do was judge it by it’s cover. 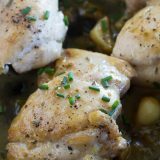 150 recipes from 50 essential ingredients. I was expecting a cookbook where all of the recipes were made using those 50 essential ingredients. As excited as I was to get the cookbook, I just wasn’t sure I was going to be sold on the concept. Because 50 pantry staples would be a lot. But I was pleasantly surprised. Instead of 150 recipes made from 50 ingredients, the book highlights the ingredients, one at a time, giving you 3 recipes you can make with each ingredient. It’s kind of a fun resource, to see just how versatile some of these ingredients can be. I especially think this will come in handy when I have an ingredient that I need to use up. 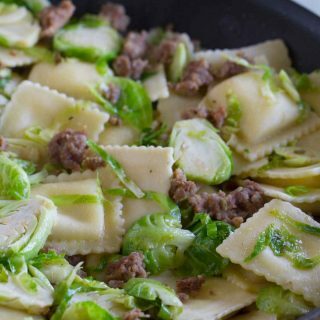 Notice you bought way too much vegetable stock and you need to use some up? Head to the recipes using vegetable stock. 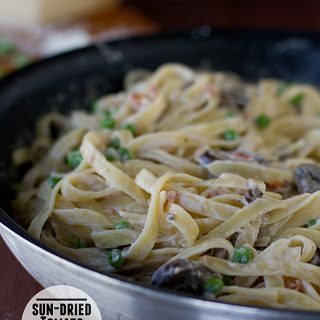 It is definitely set up differently than most cookbooks, but it’s a fun change up. Number of Photos: Many. 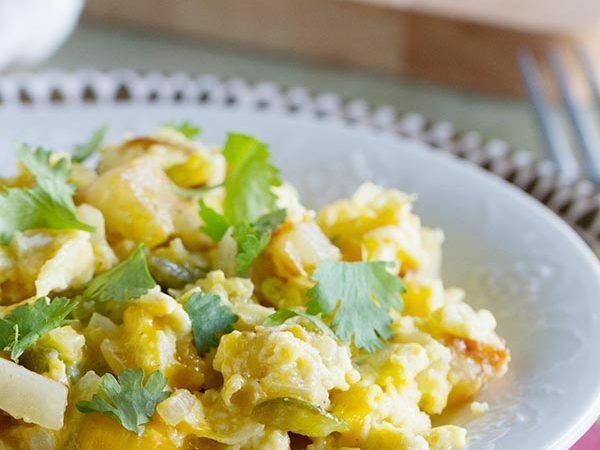 The photos are big and beautiful and accompany every recipe. Difficulty Level of Recipes: Easy. Despite being a chef and a restaurant owner, Geoffrey Zakarian developed these recipes for the everyday home cook. 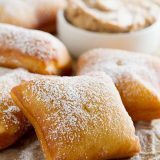 There are a few recipes that might teeter on the medium difficultly level, but really, the majority of the recipes are easy enough for beginners. Availability of Ingredients: Easy. Since this book is based on the concept of cooking from your pantry, the ingredients are all pretty basic. You should easily be able to find all of the ingredients in a regular grocery store. If I could think of one critique, it would be that because of the format of this book, it’s hard to sit down and figure out what’s for dinner simply because all of the dinner recipes aren’t arranged together, or the desserts, or the appetizers. But on the other hand, the way the book is organized is part of it’s charm. I am really loving the book overall, though, and I can’t wait to try even more recipes! And now the recipe. 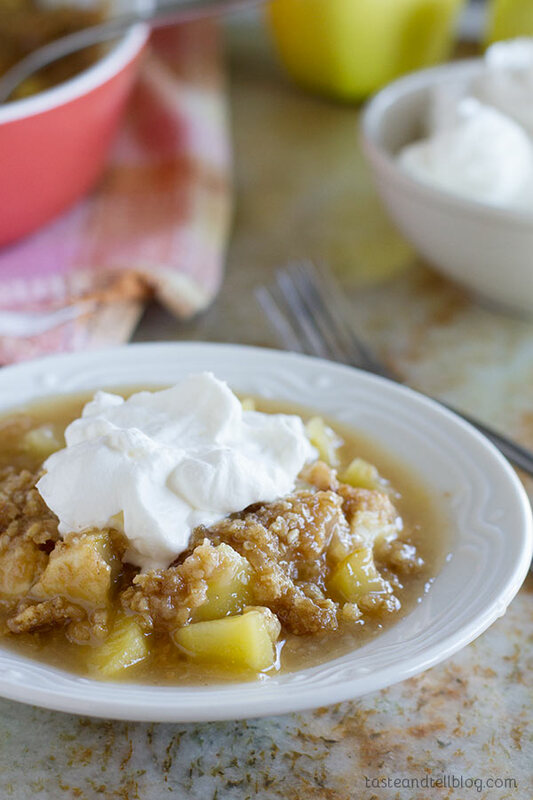 I actually wasn’t planning on making this Easy Apple Crumble, but for some reason, I kept going back to it. I do have to say, though, that I think the original name was quite misleading. In the book, it’s called an Oatmeal Coconut Crumble. But I thought the apples were the most prominent ingredient – definitely one of the stars of the dish. And it’s easy, so I thought it deserved the title of Easy Apple Crumble. This looks like a pretty humble dessert. And yeah – it’s just a crumble, right? I was actually doubting the whole recipe when I pulled it out of the oven and I saw how much liquid was in the dish. I had this sinking feeling thinking that this easy apple crumble recipe wasn’t going to be anything special. And then I actually tasted it. I have been trying to be good about not having too many sweets, but I knew I needed to try this. After I took my first bite, I knew that this was a winner. And when I went back for seconds, I knew that I had officially found my favorite crumble recipe. 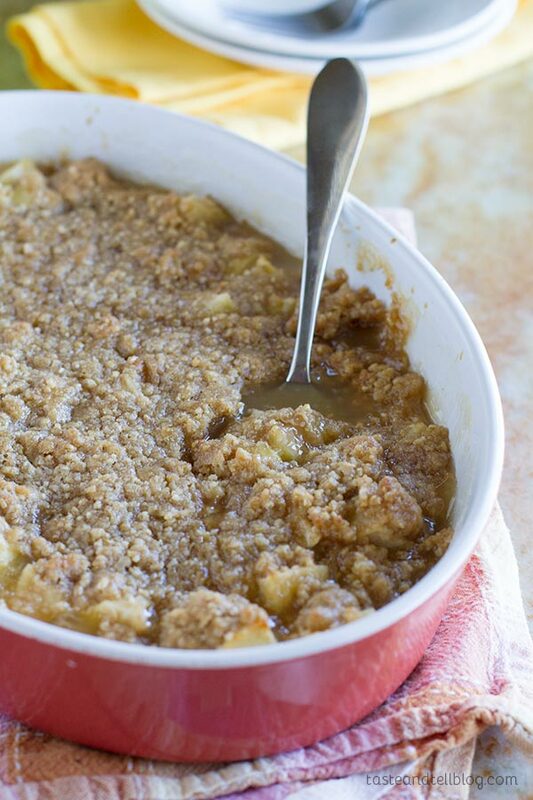 This easy apple crumble recipe came from the section about steel cut oats. I’m not a huge fan of oatmeal for breakfast, but my husband loves it and I usually have some steel cut oats on hand for him. The steel cut oats bring in some extra texture – Geoffrey calls it at “toothsome texture”. I would have never thought to do steel cut oats, but the texture it brings is insane. I am definitely a fan!! 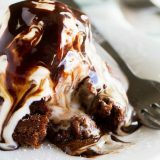 If the rest of the recipes are as good as this one, I know I’m in for a treat! Preheat the oven to 375ºF. Butter a 2 quart baking dish. In a medium saucepan, combine the apples, sugar, lemon zest and lemon juice. Cook over medium heat, stirring, until the sugar is dissolved. Pour into the prepared dish. Combine the oats, flour and sugar in a food processor and process to break down the oats. Add in the coconut, cinnamon and salt and pulse to combine. Add 6 tablespoons of the butter to the food processor and pulse until the mixture becomes crumbly, with the biggest pieces about the size of a pea. Sprinkle the crumble mixture over the top of the apple mixture. Dot the top of the crumble with the remaining 1 tablespoon of butter. Bake until the topping is golden brown, the apples are tender and the mixture is thickened and bubbly, about 35 minutes. Serve warm, topped with fresh whipped cream. I love Geoffery!! He is one of my favorites Iron Chef’s. He’s so witty, dresses so stylish, and knows everything about chefery! <—is that a word? If not it should be. 🙂 That oatmeal looks amazing. It would be perfect on a cold winter morning before heading out the door for work/school! Holy Yumminess! 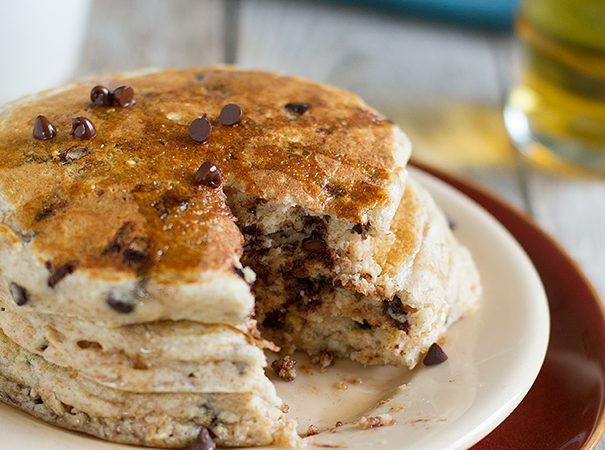 Is it possible that I could have something this yummy for breakfast? Yes please! That was really my only critique as well. But I love the book and I loved the fact that everything was so approachable. You’ve got to try the pot roast recipe! Out of this world good! 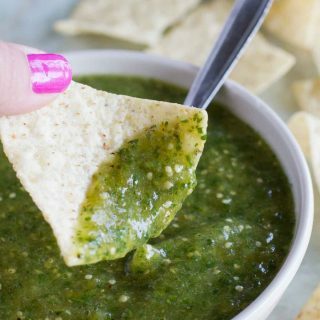 I do love the idea of buying one pantry staple and having three recipes immediately on hand that use it so that it doesn’t languish at the back of the closet. And if they are all as good as this apple crumble, then WIN.